Cape St Francis Resort surrounded by nature reserves with luxury beach villas , up market family type cottages and affordable apartments. We are an eco-destination with an abundance of beaches and an ideal base to enjoy activities on offer such as golf, surfing, hiking, cycling to name but a few. 2-bedroomed cottage. Available for holiday rentals. Sleeps 8 persons. 2 bedrooms, one shower on-suite and one bathroom. Linen not supplied. 3 minutes walk to the beach. 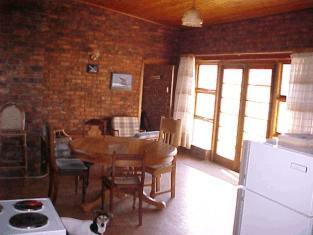 Rates: In Season R350.00 / day out of season R150.00 / day.